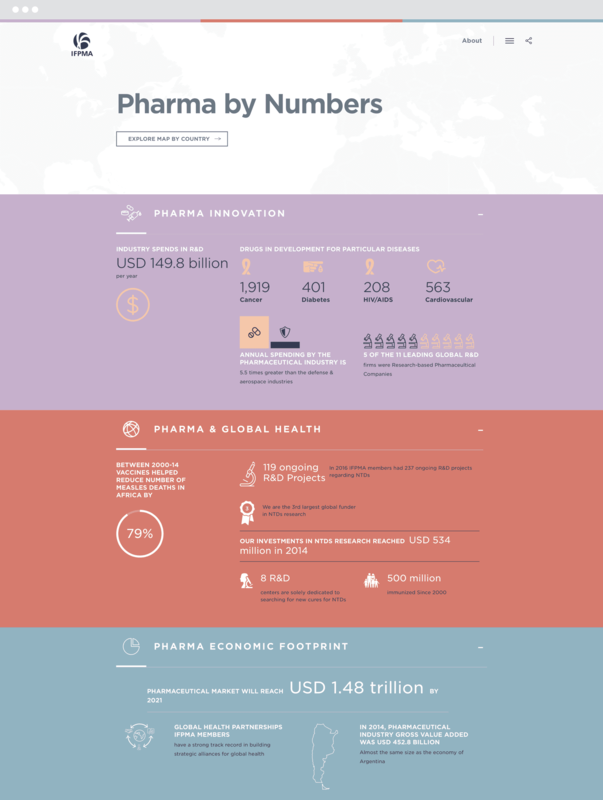 The “pharma by numbers” microsite illustrates the key facts and figures that range from innovation in R&D to access to medicines and global health, and from the economic footprint to public private partnerships. 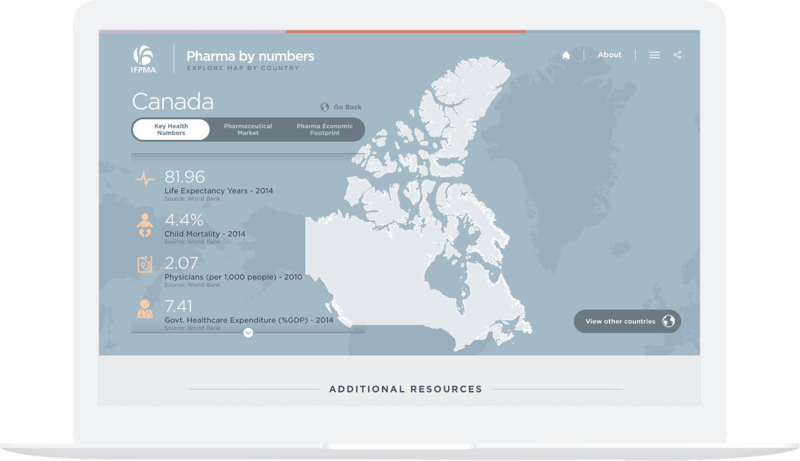 The IFPMA is a global, non-profit, nongovernmental organization. 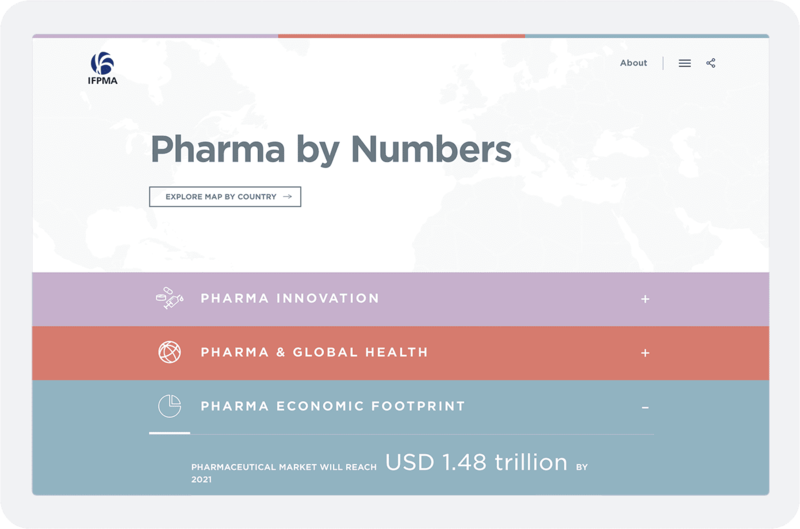 With members across the globe and a secretariat based in Geneva, Switzerland, the IFPMA represents the research-based pharmaceutical industry, including the biotechnology and vaccine sectors.